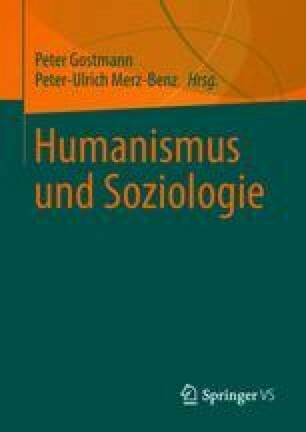 As an American philosophical tradition, Humanism is a phenomenon of the 20th century. While it was introduced in the American context as a pragmatist philosophical program by the European philosopher F.C.S. Schiller at the onset of the 20th century, it became a popular stance only with the publication of the Humanist Manifesto in 1933. In this document, a number of American intellectuals, among them philosopher and pedagogue John Dewey and biologist Julian Huxley, presented “an effort to replace traditional religious beliefs with a stalwart confidence in our capability to achieve moral perfection and happiness along the lines and within the limits of our earthly nature”. Bragg, Raymond. 1933. A Humanist Manifesto. In The New Humanist 6 (3), S. 1–5. http://americanhumanist.org/Humanism/Humanist_Manifesto_I. Zugegriffen: 18. Februar 2018. Council for Democratic and Secular Humanism. 1980. A Secular Humanist Declaration. http://www.secularhumanism.org/index.php/11. Zugegriffen: 18. Februar 2018. Creation Worldview Ministries. n. d. The lives of Thomas Henry Huxley, Aldous Huxley and Sir Julian Huxley. http://www.creationworldview.org/articles_view.asp?id=28. Zugegriffen: 18. Februar 2018. Tackett, Del. 2014. What’s a Christian Worldview? https://www.focusonthefamily.com/faith/christian-worldview/whats-a-christian-worldview/whats-a-worldview-anyway. Zugegriffen: 21.02.2018.